Princess' Paper Projects: "Unofficial" Crafty Comeback!! Good day!! 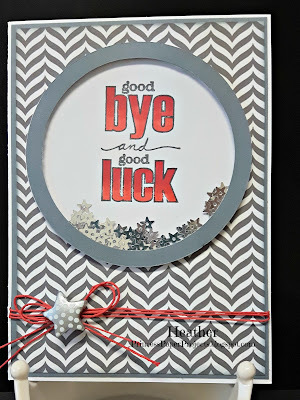 It's a dreary Saturday here today and I actually felt like going into my craft room and using it :) So although it is not April yet which is my "official" comeback date I made a card for the latest challenge at Little Red Wagon. The theme is "It's Clear to Me" with Kate as our hostess. Here's my very simple shaker card for one of my hubby's co-workers who is changing stores. Masculine cards are hard but this all came together fairly quickly. 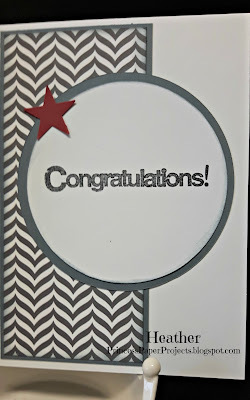 Uses papers from MME, a stamp from Michael's $1.50 bin and embellishments from my stash. Glad you could come by today. If I don't see you before, remember April 5th is my "official" return to the team and the day I am hostess. It's lovely to see you again! Such a super card! It's perfect for the occasion! Such a great find with that stamp too! Super cute & Fun! !Awesome job! So glad to see that you popped in Heather! 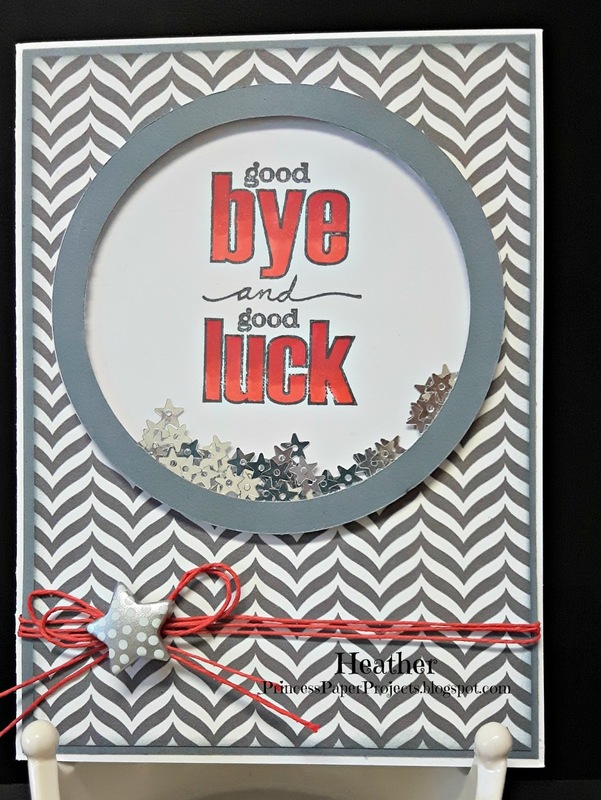 What a great shaker card - the gray tones are a perfect fit for a guy card! So nice to see that you could join in this week, Heather! Wonderful card! Perfect for your hubby's coworker, I bet he loved it.